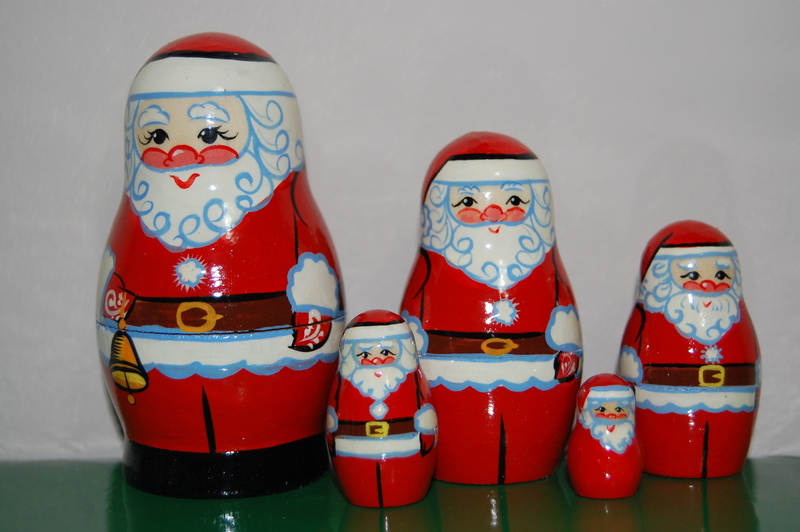 Home / Category Name: Christmas Nesting Dolls, Category Path: Christmas Nesting Dolls / Santa Doll 5pc./3.5in. The 5 piece 3.5Â Santa doll features an assortment of St. Nicks all nested together. The Santa holds his bell.